Ohain is a village 23 kilometres south-south-east of Brussels, and 5 kilometres east of the main Brussels-Charleroi road. 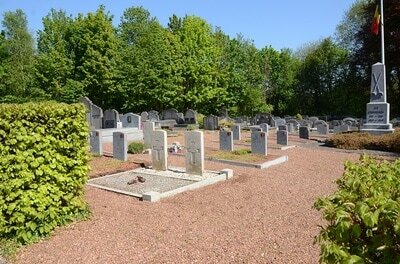 The cemetery is on the south-west side of the village, on the Chemin du Pêque, about 450 metres from the church. 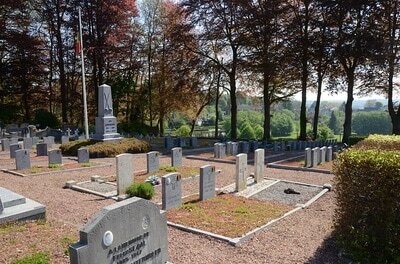 The Commonwealth graves are in the Belgian pelouse d'honneur at the northern end of the cemetery. 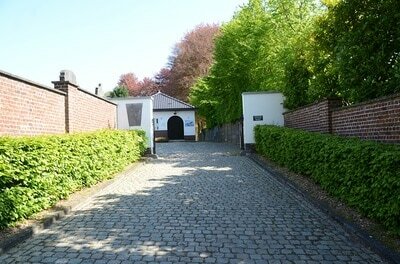 Ohain Communal Cemetery contains three Commonwealth burials of the Second World War. 1458651 Gunner George William Bradley, 209 Bty. 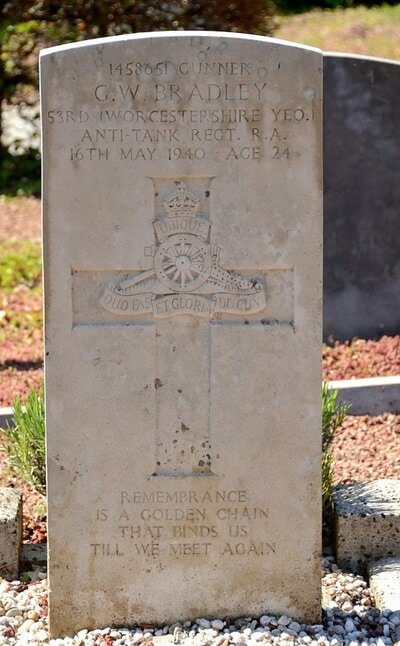 53 (The Worcestershire Yeomanry) Anti-Tank Regt., Royal Artillery, died 16th May 1940, aged 24. Son of Rupert and Kathleen Bradley; husband of Frances Ethel Bradley, of Wolverley, Worcestershire. 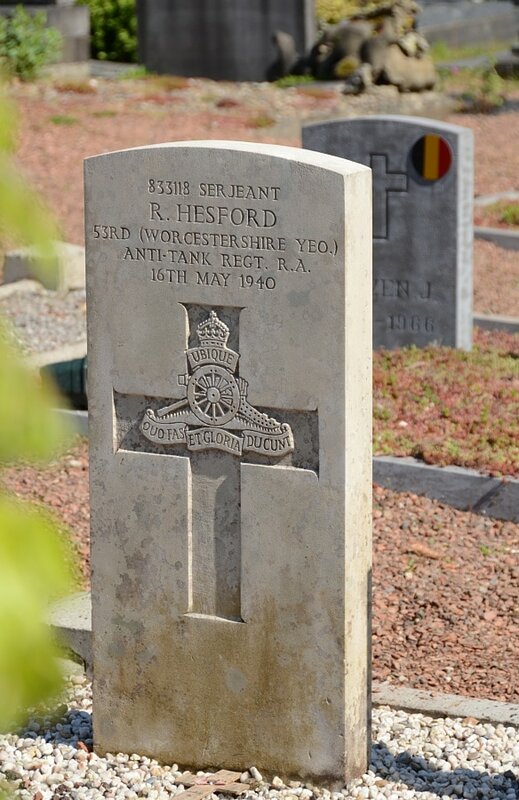 833118 Serjeant Ross Hesford, 209 Bty. 53 (The Worcestershire Yeomanry) Anti-Tank Regt., Royal Artillery, died 16th May 1940. 1457241 Gunner Hubert Tanner, 209 Bty. 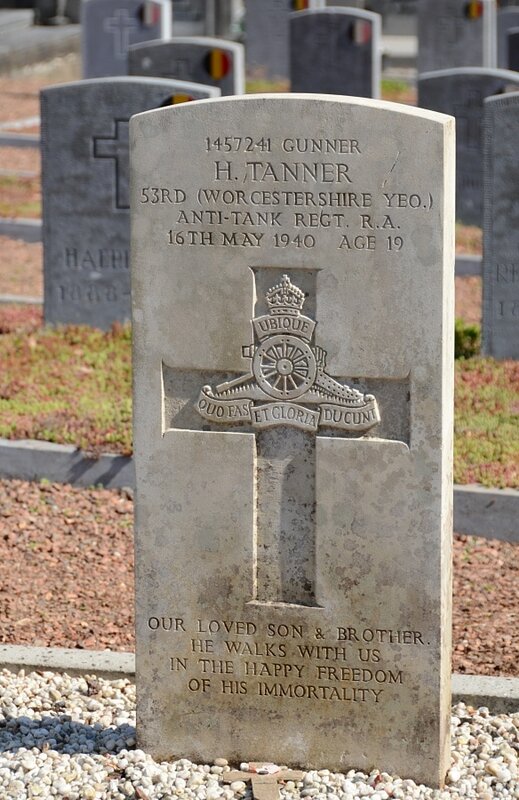 53 (The Worcestershire Yeomanry) Anti-Tank Regt., Royal Artillery, died 16th May 1940, aged 19. Son of Mrs. L. Tanner, of Kidderminster, Worcestershire.